I know what you’re thinking, or at least I think I know what you’re thinking. Fish sandwich? Yes, fish sandwich, yes. I saw a fish sandwich on a menu a long time ago, made it at home, and it was ridiculously good. So freakin good. 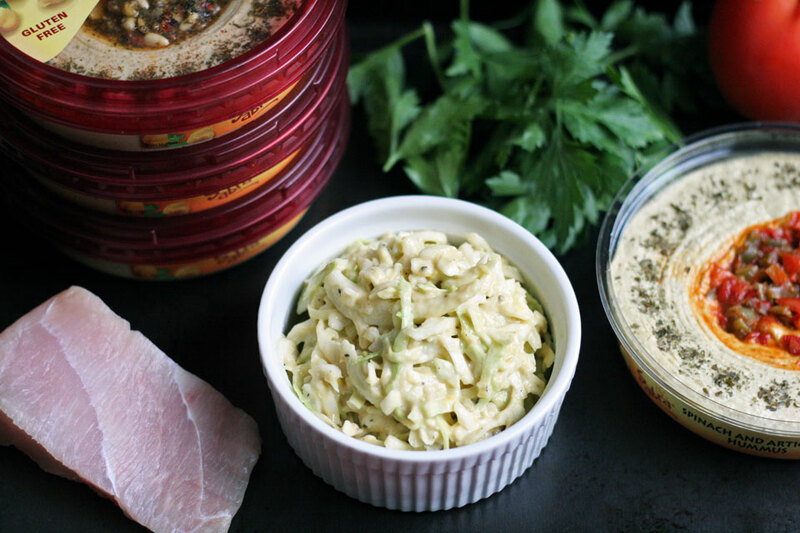 It’s been a long time since I made it, and I have been working on some recipes using hummus for Sabra. It dawned on me one day, this recipe. Fish and hummus are eaten in the Mediterranean often. Fish and slaw are eaten often in many places. Bam, put them together. I made my way to the store, bought fish, and quickly got to cooking. It worked, oh did it ever. This fish sandwich is not the one you are thinking of, it’s the long distant relative to that weird fish sandwich. 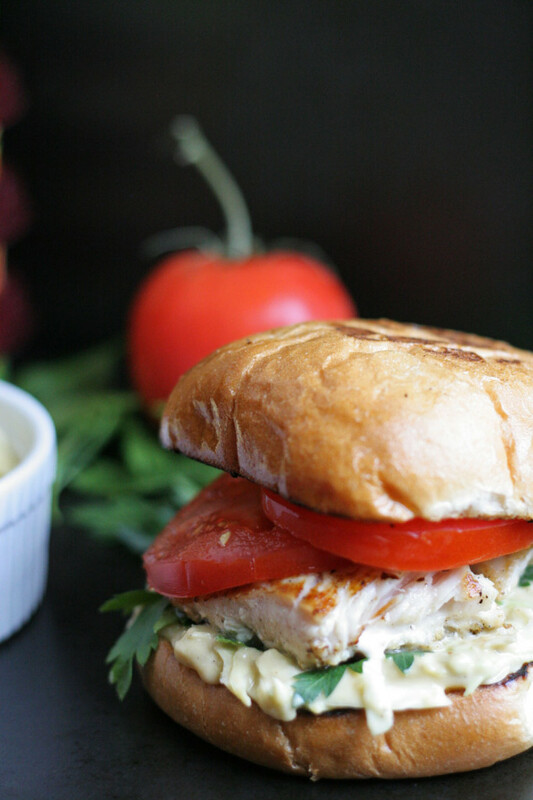 The savory slaw with hummus, crisp cabbage, and sweet tomato slice go so well with a fresh piece of grilled fish. It is the perfect Summer recipe when you don’t want a burger, or meat. It’s not too heavy but definitely filling and pairs perfectly with a crisp glass of wine. Do you think you’d like this fish sandwich? Note: I cook fish after bringing it to room temperature, or close to it as possible. It cooks better and more evenly. Take fish out of fridge and bring to room temp for an hour or so on kitchen counter. Pat dry using a paper towel prior to grilling. Cooking fish note: Fish will let you know when it is ready to turn, one side takes about 3 minutes. But the key is- it will easily let go of the grill, if it sticks, it’s not ready to turn. Cook for 1-2 more minutes then try turning again. 1. In a medium bowl add hummus, olive oil, and lemon juice, whisk well to combine. Add the cabbage, mix to combine. 2. Brush grill with olive oil using a paper towel. Prepare grill, and get to a medium heat. Once grill is hot, place fish on oiled area. Sprinkle with salt and pepper. Cook for 3 minutes, turn over. Sprinkle with salt and pepper, cook for another 3 minutes. Remove from grill and allow to rest for 2-3 minutes. While the fish is resting, place the buns over the heat and toast for 1-2 minutes, until toasty golden brown. Remove from grill, and prepare sandwich. 3. Place slaw on bottom bun, then parsley, then grilled fish, then sliced tomato. Serve immediately. 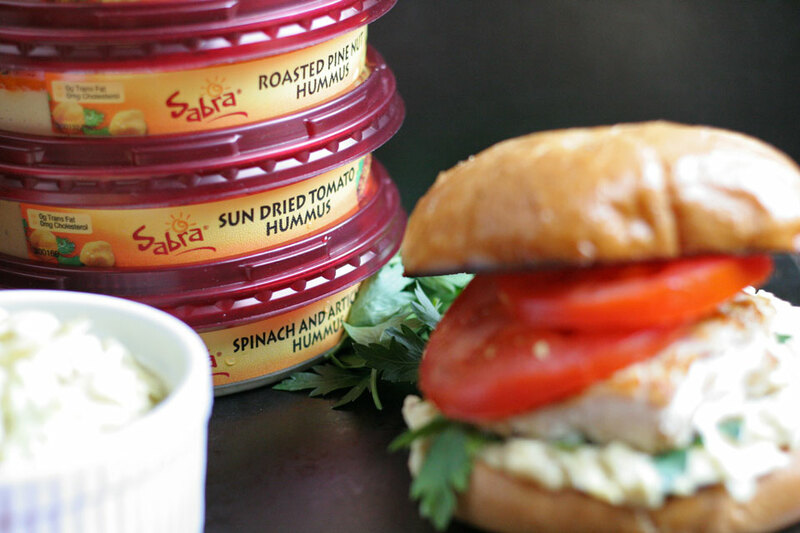 Disclosure: This is a sponsored post, as a Tastemaker for Sabra, I was compensated for this post. As usual, all my opinions are my own. This is a perfect recipe, I have been looking for sandwich recipes and saw this. Thank you for sharing this one. Great! Thank you so much. I hope you enjoy it, it was a total hit around my house! OMGOSH this looks so good! Thank you, it was so fun making this and tastes very good! Brilliant and beautiful, as always! Fish sandwiches are a definite yes! What is not to love about beautifully seared fish with crunchy, creamy slaw? It reminds me of the fish sandwiches I used to get at one of the beachside restaurants in my parents’ town. So juicy! So tender! NOM.